WASHINGTON – Residents in a northwest Washington, D.C. neighborhood are complaining about a crosswalk aimed to better help people with disabilities. 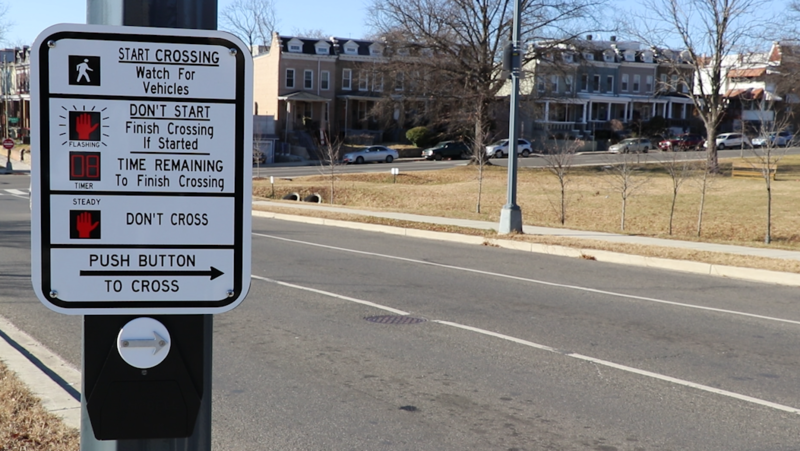 In the Park View community near Howard University, residents began raising concerns about seven newly placed crosswalks that are emitting loud beeping sounds throughout the night when traffic is not as rampant. Kent Boese is the chairperson for the Advisory Neighborhood Commission which covers the edge of the intersection of Irving St. NW and Hobart Place NW where the poles are placed and where he said there should be a noise balance. In an effort to accommodate both the general public and individuals with disabilities, Boese said he wants to make sure that the volume is a “safe” level, but does not disturb the peace of nearby residents throughout the night. Boese originally found out about the complaint from a D.C. neighborhood blog called ‘Popville’. He said he will take the issue to the District of Columbia’s Department of Transportation.